Guess how I came up with this little guy. Go ahead, guess. 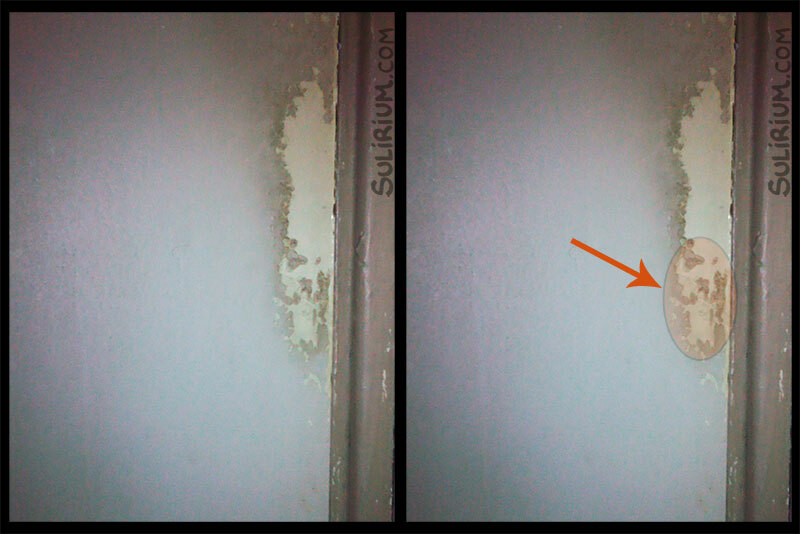 If you're thinking it was thanks to a section of chipped paint on a door then you've guessed correctly! The photo is down below for comparison. Of course, I didn't make an exact copy in the illustrated version but without that chipped bit of paint it wouldn't have occurred to me to draw this. This phenomenon of me seeing little beings on doors actually has a name: it's called Pareidolia; and the source of stimulus may vary but it happens to almost everyone. Pareidolia is a psychological phenomenon in which your brain interprets vague and random stimuli as a recognizable image or sound. In this case, my brain connected the areas of chipped paint with the areas that still had paint, a relationship that was totally random and chaotic in nature, just time doing its thing, in a way that gave them a certain structure, a known shape which it could name and even give a personality to. Making these kinds of mental connections in seeking something recognizable is part of the same mechanism that allows us to recognize different faces, places, animals and so forth. The thing is the brain seems to apply this to almost anything, so mistakes do happen, but although it's an illusion that we see, it's still pretty entertaining. We can enjoy a magic trick even if we know it's a trick. Pareidolia, which just involves images or sounds, is a form of Apophenia, which defines our general tendency to seek patterns or connections in random data. Our brains seem hard-wired to do this. Patterns carry meaning, what has meaning makes sense to us, what makes sense to us determines a set of parameters within which we can act and learn. Utter chaos and total randomness would be quite paralyzing. It's a basic survival tool, most organisms have it, but it's also a matter of degree. Sometimes patterns are real (seasonal weather patterns), often times they are not (“all good things come in threes”), and to constantly experience randomness as meaningful and believing it is to enter the realms of delusion. Apophenia derives from Apophany, a term originally used to describe the workings of the schizophrenic mind. There also seems to be a link between Apophenia and creativity, and well, the illustration I made is sort of proof of that, but I would say that making connections is in and of itself a creative process, sometimes leading to the most elaborate of theories. It might be one of our greatest tools for writing fiction. But it can apply to just about anything, in any profession you need a degree of creativity, and this sometimes boils down to putting two and two together, associating this with that, and then seeing if it pans out, and if it doesn't, knowing when to stop. Consider detective work or scientific research, for example. 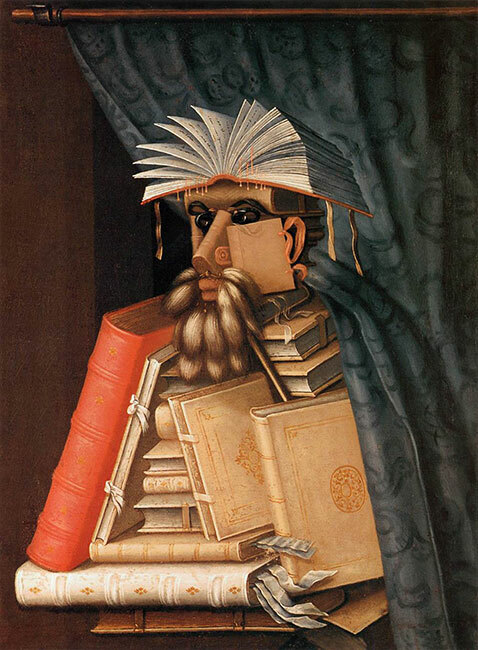 Even if most of the times patterns are just in your head, as long it's not negatively impacting your relationship with the world, you can be amused by it, appreciate it in the creativity of others like Arcimboldo, or channel it through creations of your own. Sometimes it's more interesting to observe what the patterns we tend to see reveal about ourselves. Like the Rorschach ink blot test, it's more about how you handle randomness than the initial meaning you attach to it. So... 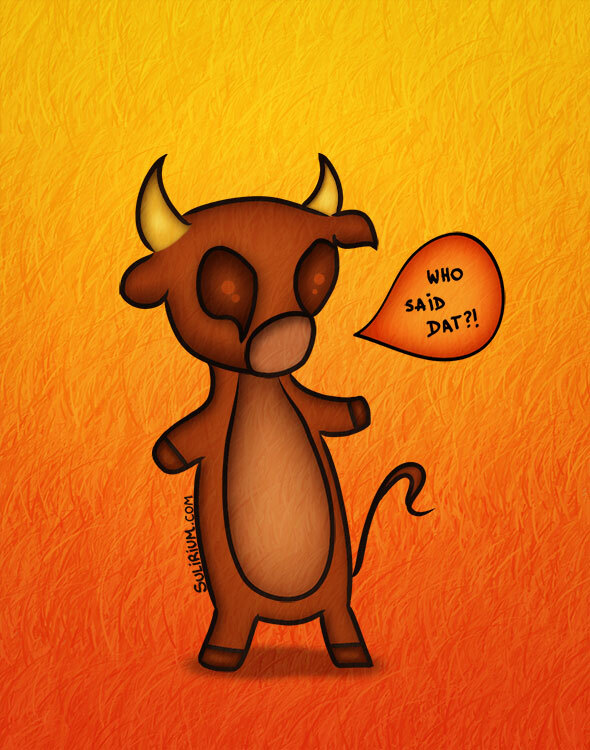 I wonder why of all possibilities I ended up seeing an angry little bull? What could it mean...? - This article, Organizing Chaos: Creativity or Psychosis? - This TED-talk video, Michael Shermer: The pattern behind self-deception. The pacing is not that great but it does have some interesting bits that get you thinking and at least points to actual research.